My great grandparents Patrick Joseph and Charlotte Naughton had lived in Warrington, Runcorn and Wigan before finally settling in Chapel Street, Altrincham at the end of the 19th century. It is believed they had 17 children although only 12 living children are listed in census records (9 boys and 3 girls) Sadly 2 of the boys died in 1905 and the 3 girls also had health problems, and died young. The surviving brothers were Michael, Thomas, Joe (Patrick Joseph) Jack (John William), Robert and twins David and Peter. Over the years their surname ‘Naughton’ changed to ‘Norton’. Michael (1880 -1948) was working as a scaffolder and bricklayer for a Broadheath company when war broke out. He had been with the Volunteer Battalion Cheshire Regiment from 1900 to 1906 and joined the 3/5th Battalion, Cheshire Regiment in 1915, transferring to the South Lancashire Regiment in 1917. He was posted to France in 1917 and by the end of the war and until he left the army in 1919 he was a Sergeant Drill Instructor. Thomas (1882 – date unknown) had been an engine driver before the war. At some point during his service with the Royal Garrison Artillery he received a head wound and was sent to hospital in Sheffield. His medical records at the end of the war, when he was granted a 20% disability pension, mention nerve deafness in both ears, a hernia due to the lifting of heavy 6″ Howitzer shells and malaria. Joe (1883 – 1947) was a military man before the start of the Great War having fought in the South African War from 1900 to 1902. He joined the Grenadier Guards in 1902, working his way through the ranks to Company Sergeant Major. His battalion was part of the British Expeditionary Force which went to France in 1914 and took part in the Battle of the Somme in 1916, where Joe was wounded by machine gun bullets in both thighs and evacuated as a casualty back to England. In 1917, having recovered from his injuries, he joined the 4th Battalion in France and was mentioned in despatches. During 10 days of action in 1918 the battalion came under heavy fire and Joe superintended and greatly helped in the removal of the wounded. For his heroism Joe was awarded the Italian Bronze Medal for Military Valour and the DCM. After the war, he stayed in the army until 1923 when he retired with the Long Service and Good Conduct Medal. Joe continued in public service, eventually becoming the custodian at 10 Downing Street, “remaining at his post throughout the nerve-wracking days of the bombing of London” and served under 5 Prime Ministers until his death in 1947. Jack (1884 – date unknown) had spent 12 years in the army, serving in India just before the war with the 2nd Battalion King’s Own Royal Lancasters. It has proved difficult to find accurate information about his war service. It is known that his battalion was returning to England when it was drafted to France as part of the BEF. The battalion fought at Frezenberg Ridge during the 2nd Battle of Ypres; between 1st and 6th January 1915 where they lost a total of 481 men out of a battalion of about 900-1000. Robert (1892 –1955) according to newspaper reports, enlisted “at the outbreak of hostilities” in the Army Service Corps, later transferring to the Cheshire Regiment and serving in France. David (1896 -1958) enlisted at the same time as Robert, although he later transferred to the 2nd Cavalry Division and wrote to his twin brother from Flanders. After he left the army, David worked for the Altrincham Post Office until his retirement and he too was an active worker in public life. He served on numerous health, social services, work and pensions and youth employment committees. He was a local councillor, a member of the Altrincham and Sale Labour Party and served in the Home Guard during WW2. Peter (1896 – 1960) had been granted exemption from military service at the request of his mother Charlotte, on the grounds that she needed his help in caring for his invalid sisters. It appears that this wasn’t what Peter wanted as, according to the local paper, he made several attempts to enlist, finally joining the Gordon Highlanders in 1916 and earning the nickname Jock, which stuck with him for the rest of his life. The brothers’ war service is recognised in the Chapel Street Roll of Honour, where they are listed under the surname Norton. The Roll of Honour was unveiled during a ceremony in 1919 which followed a victory parade through Altrincham. 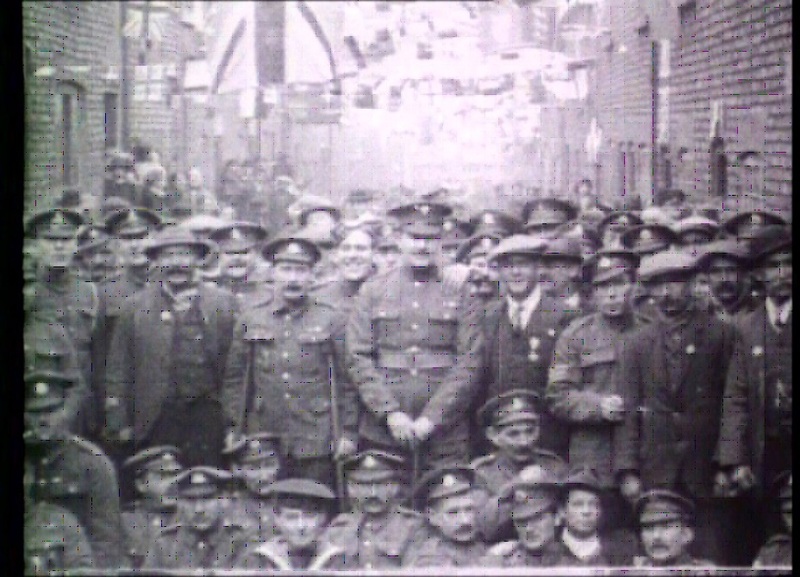 Four of the brothers joined in the parade led by the imposing figure of Joe who can be seen in a photograph of the occasion below, standing head and shoulders above the other men. If the other brothers were like David my granddad, and preferred not to talk about their wartime experiences, it may well be that there are Norton descendants in the area who know nothing about their ancestors’ connections to the bravest little street in England. Chapel Street 1919 Victory Parade. 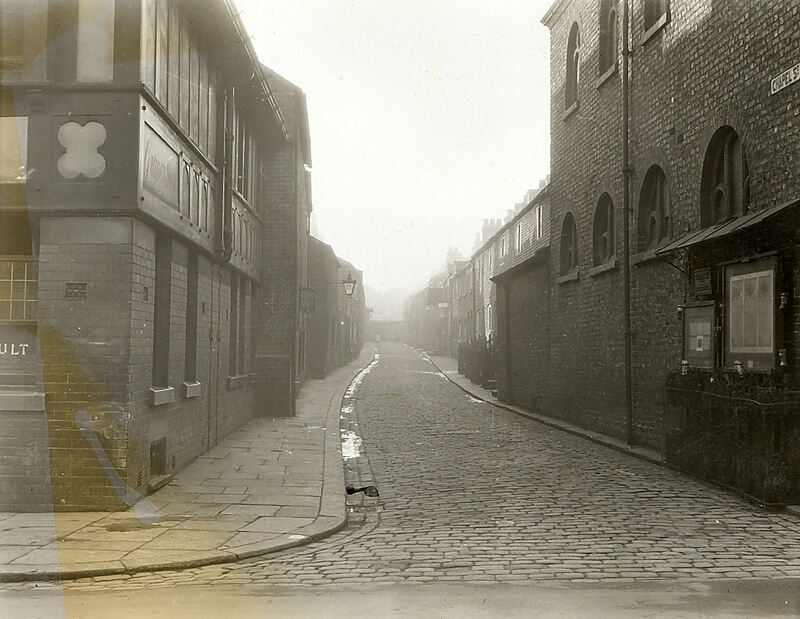 Image 1: Chapel Street, Altrincham (Trafford Lifetimes TL3687). Image 2: Courtesy of the North West Film Archive Manchester Metropolitan University.